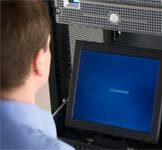 NJ Network Installation Services and Network Setup: Our NJ network design and NJ network Installation services ensure that your network operates with maximum efficiency and is the most cost effective way to connect your computers. There are many ways to build a network. We ensure that yours is right for you and your budget. On-site Network Evaluation and Proposal Delivery: Fact finding and Site Survey A certified ICS network consultant will examine your current network environment and discuss your technology requirements to create a strategy that best fits your needs and budget . Choosing Software - Licensing: Network Operating Systems and Office Productivity Suites Software vendors seem to make it their goal to come up with the most complex licensing schemes for their software. We sort through the maze to find the most cost effective option. Hardware Delivery & Installation: Scheduled to Minimize Work Disruption and Downtime All hardware will be delivered, unboxed and set up in the locations agreed upon in the project plan. Existing Data - Data Migration: All data is backed up before data migration begins. We will seamlessly transfer any existing data and migrate it onto the new network. Training and Support: Software and Hardware We will provide several hours of training, which can be used individually or in a group. Included 30-Day Labor Warranty & Support: On-site and Remote Support We will provide 30 days of on-site and remote support to resolve any business critical issues. Backup Procedures and Disaster Recovery Plans: Always be Prepared for Disaster We will perform a complete backup of the entire installation and setup an automatic backup system for your company with instructions on its use, so you are prepared if disaster strikes. Pricing, Quotations and Rates: Competitive Pricing and Quality Service Every network is different and we will always work to create a solution within your budget.